The Women's Neutrino Endurance Jacket is a lightweight, weather resistant, warm and durable down jacket primarily designed for use in Alpine conditions. 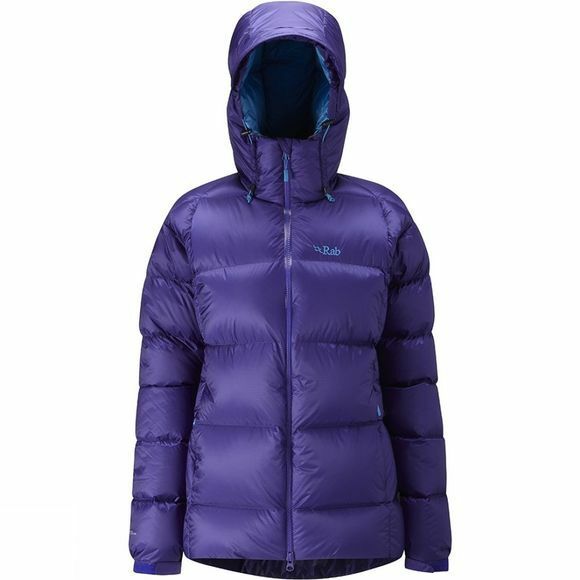 This is the women's specific version of the benchmark down jacket for modern mountaineering and lightweight ascents. The Pertex Endurance outer provides protection against storm and spindrift while retaining minimal weight and packsize, and high lofting is provided by the 216g of 800 fill power European goose down. The Neutrino Endurance is one of those jackets that just does everything you need it to, a firm favourite amongst professional mountain athletes, while the extra length and female specific shape make it a very popular women's down jacket. Equally as at home on the journey to work as it is in The Peak District or climbing in the Himalaya.